Noytepad looks so nice now! It’s taken ages, but Microsoft is finally updating Notepad, its barebones text editor. This is the next in a recent series of updates to software that’s been floating around the Windows operating system since the ‘80s. The first update was to Microsoft Paint last year. That update was so expansive people worried Paint itself was going to die. It didn’t. Instead, Microsoft updated it to handle 3D objects and cleaned up the UI to be more in line with the Metro design language used by Windows 10. Then Microsoft updated Windows Console (its terminal program also known as Command Prompt). It was the first major update to the program in 20 years. Now that Notepad is getting a refresher, it’s coming more into line, aesthetically, with Metro and should no longer look so outdated. But the changes aren’t just cosmetic. You’ll be able to zoom in on text much as you can with Word or on your browser. Even better: Find & Replace now works with word wrapping. Which means, when you hit Ctrl+F and punch in the word you’re looking for, you won’t have to scroll horizontally to find each instance of the word. Instead, you can scroll vertically! Notepad will also support line numbers with word wrapping. That’s useful if you’re looking at a big chunk of text and don’t want to lose your place, or are doing some quick edits to the text of some code. 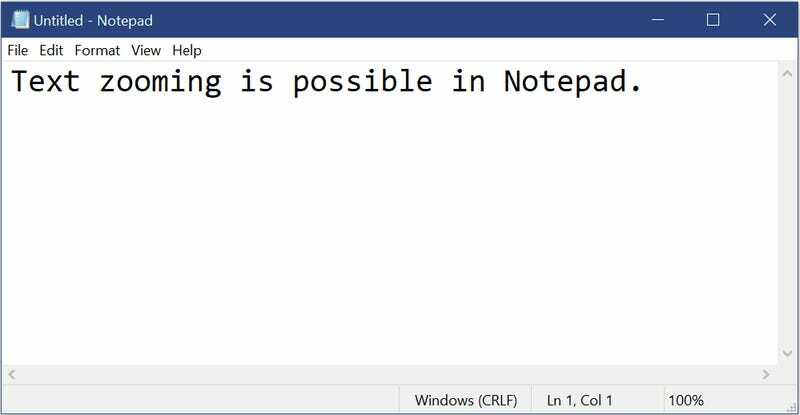 The updates to Notepad were announced yesterday by Microsoft and will appear in Redstone 5 (R5), the next major update to Windows that is expected in October of this year. 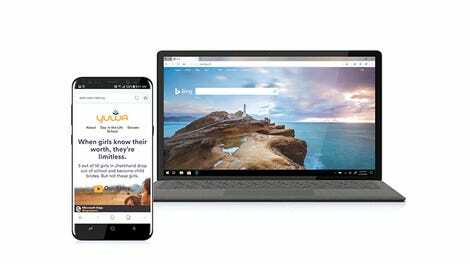 If you simply can’t wait, you can enter the Windows beta program, known as Windows Insiders. The changes are available now to insiders in the Fast ring.